Emma Jacks and her friends are trying out for the A netball team but there is a new girl in school who seems determined to make things harder for Emma. After what she thinks is a disastrous tryout EJ has to wait until after the holidays to find out about the team. Then she discovers her mother has won a family trip to Africa. This turns out to be a cover story for another SHINE assignment. Someone has been hunting wild animals for their horns and skins and EJ has been asked to look into it. When it appears an evil SHADOW agent is always one step ahead of her, EJ has to find a way to outwit her opponent. It is the only way she can keep the animals safe. 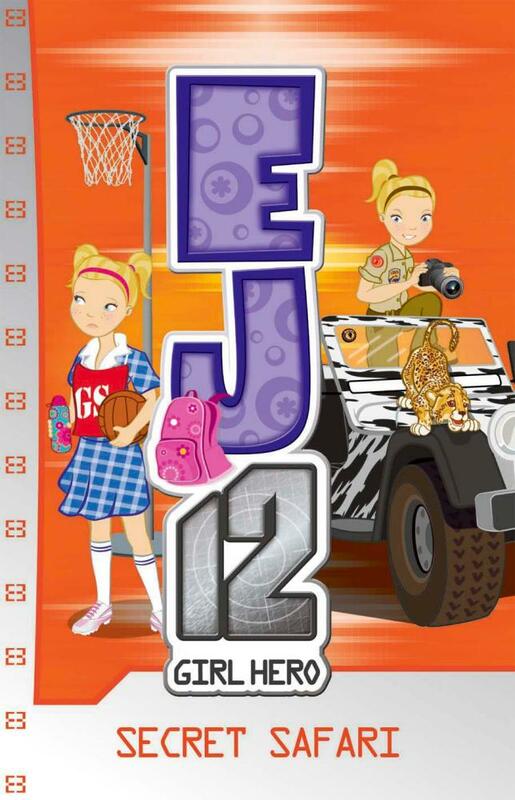 Emma Jacks is a smart girl, she needs to be to juggle the life of a secret agent with that of a normal girl. In some ways the agent part of her life is easier to deal with than the school side and that is a touch I like. It somehow makes her that much more relatable. The other nice thing about these books is that she doesn’t have to face everything alone. The adventures and topics are interesting. These books are great for girls wanting to catch a little of that spy action for themselves.